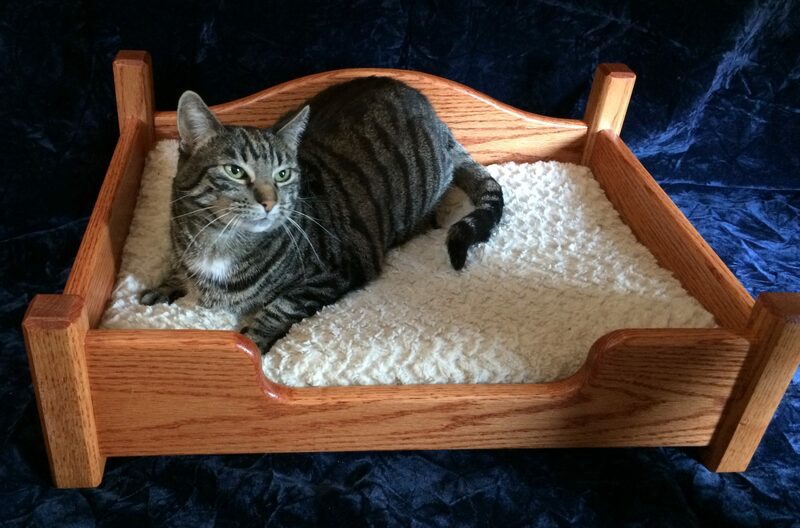 We have made cat shelves from recycled or found materials, as well as custom shelves. Our shelves are carpeted for comfort and traction, and to provide a satisfying scratching surface anywhere. 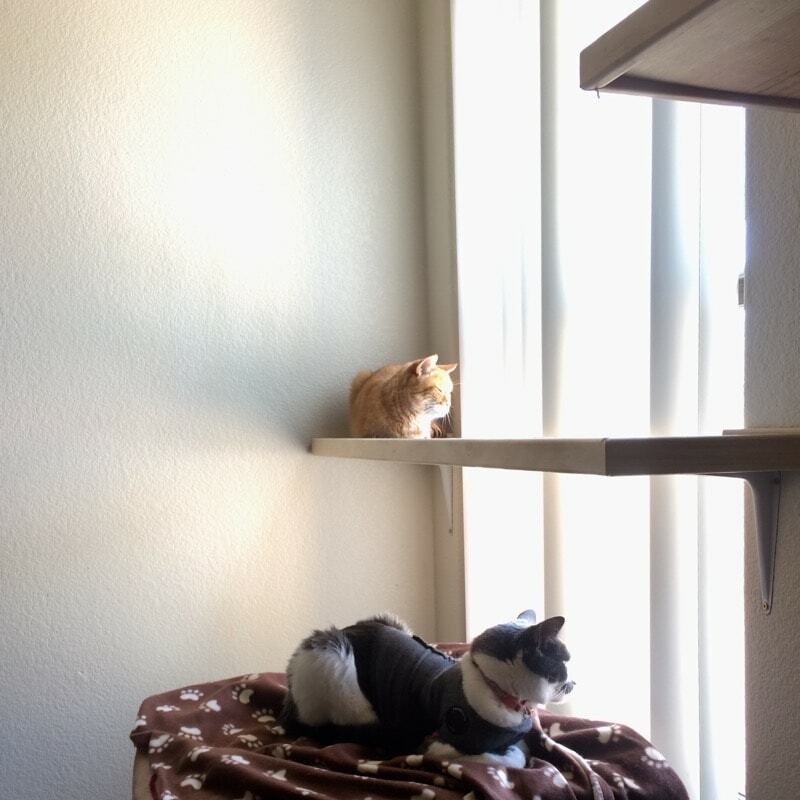 Cat shelves are great for maximizing smaller living spaces! 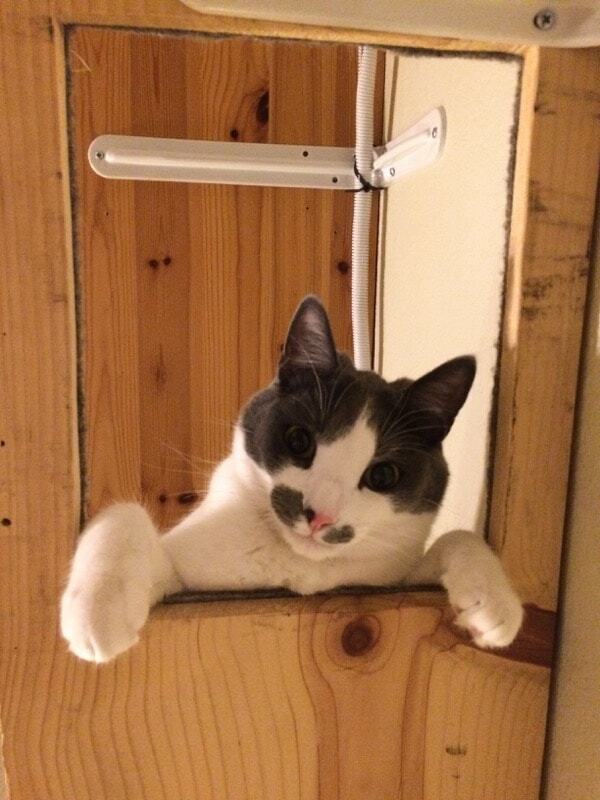 They’re also great for giving timid or fearful cats confidence, by allowing them the opportunity to watch their surroundings from a safe vantage point. Overall measurements: Shelves are placed at varying heights, and can be staggered and arranged to allow smaller or older animals the ability to enjoy surveying their homes from high places. 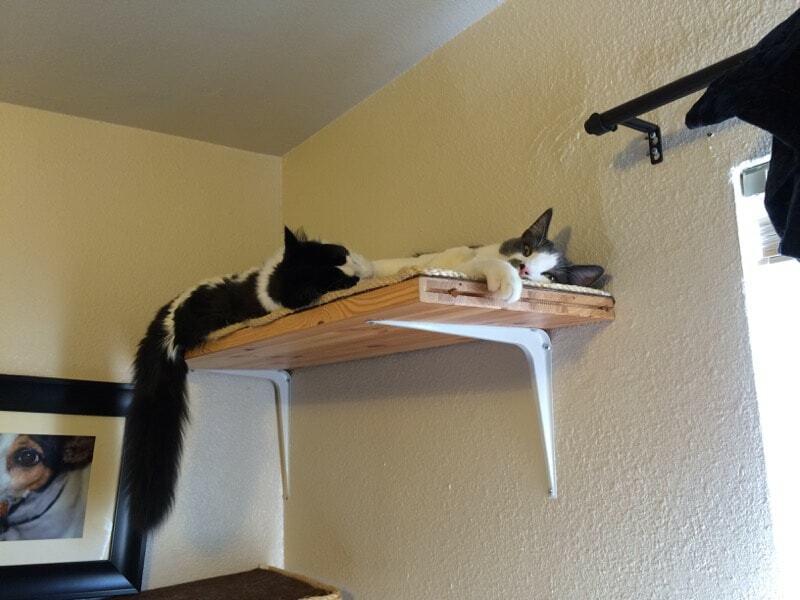 If your cats are known to be unsteady on their feet, or have conditions such as epilepsy that could result in a fall, we do not recommend installing shelves without including a guardrail or barrier, and we recommend keeping cat shelves lower to the ground. Of course, you should always work with your veterinarian to ensure your cat can safely enjoy heights higher than you can reach. 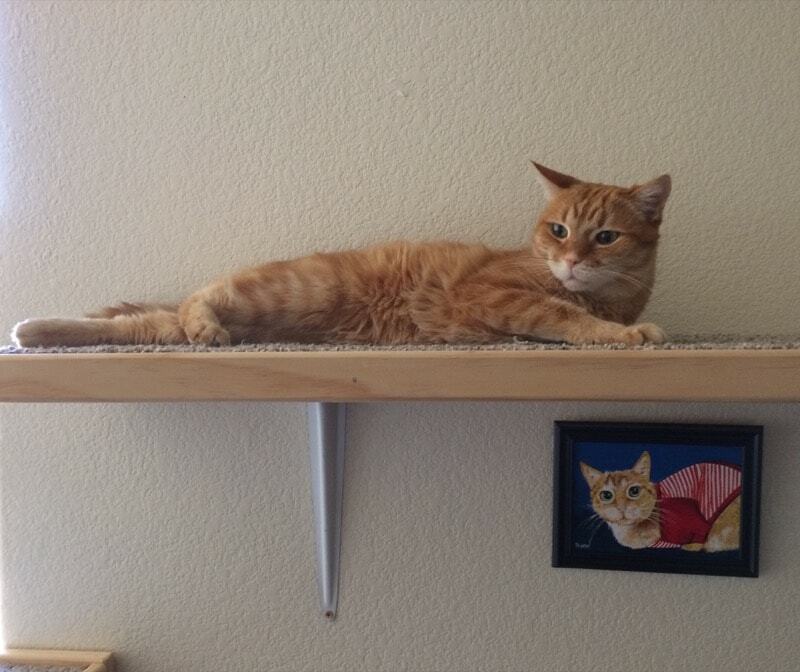 If you’re interested custom cat shelves, send us an email.